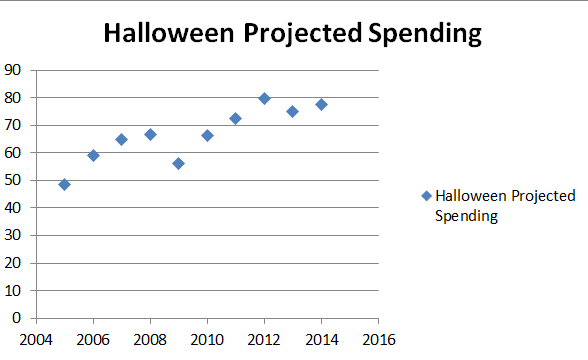 The National Retail Foundation sends out press releases that outline their predictions for consumer spending each holiday season. The 2007 – 2009 recession is quite evident in the dips in the charts of the predictions. Some economists argue that due to unemployment and under-employment Americans have not yet fully recovered from the effects of the recession. At first glance, it would appear that by 2011, consumers were confident enough in the economy to return to plan to return to previous spending levels. Adjusting for inflation, however, paints a slightly different picture. 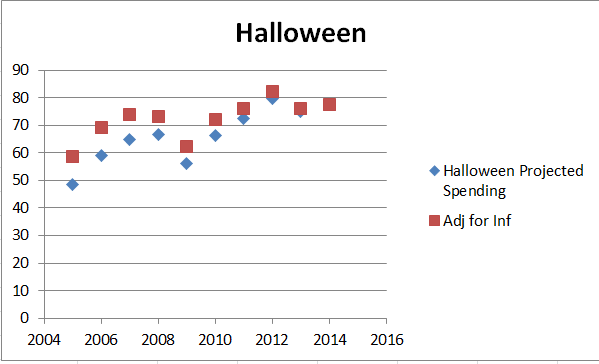 Projected spending in 2014 and 2015 are only slightly above 2008 predictions when adjusted for inflation. 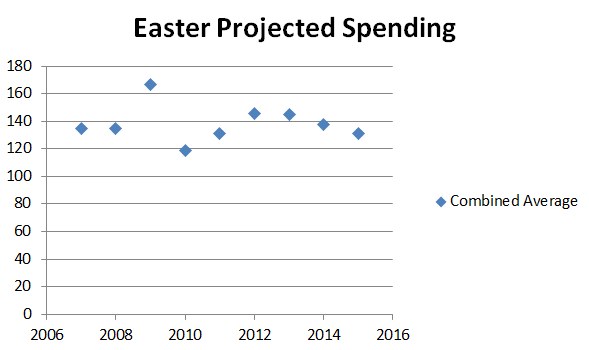 The NRF’s 2015 Easter season projection is on par with 2011 levels. Download National Retail Federation Holiday Predictions. Use the links to investigate the information that is surveyed to create the reports. Group students and have them plot the data on paper, on graphing a graphing calculator or in a spreadsheet program for a given holiday and compare among groups. 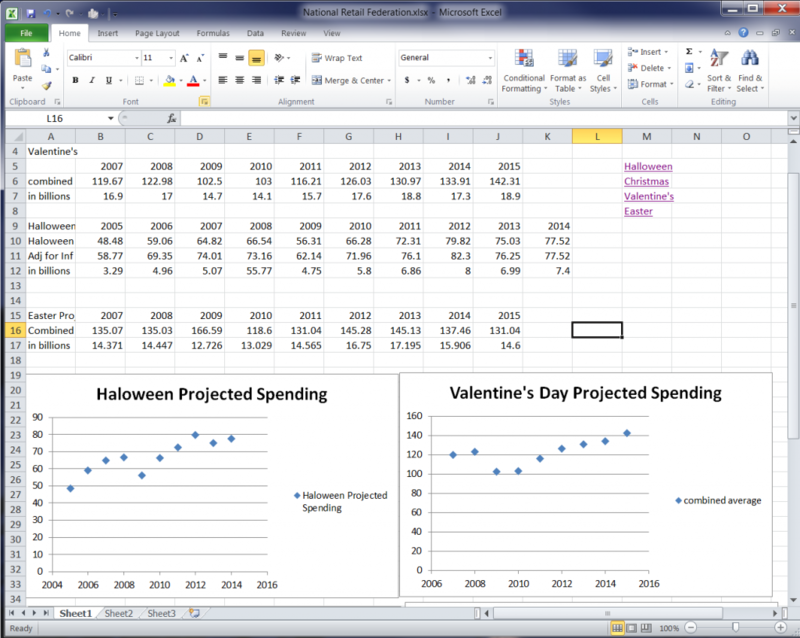 Ask the students to adjust the data for inflation. 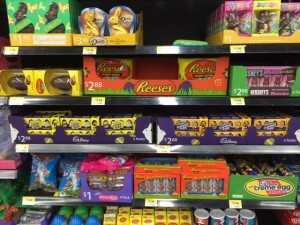 Ask students to track their family’s spending for an upcoming holiday and compare it to the press release for the holiday for the current year. Find the average of the class. How does it compare to the predicted average for US consumers.